ARE YOU IN NEED OF WEB DESIGN SERVICES? Trying to find the best website builder for small business can become frustrating and time consuming, especially if you are not familiar with website builders. Website builders give you the freedom to design your own website but many are limiting to what you can do. Functionality, responsiveness, and styles are just a few limitations that come with website builders. Certain website builders may offer beginner-like website designs and they may not be too appealing depending on what type of small business you own. Websites for small businesses come in all different shapes and sizes and sometimes the best place to start is with a website builder. If you are a small business owner and you require a basic website and you are not too worried about the look and feel of it then there are some great website builders out there. 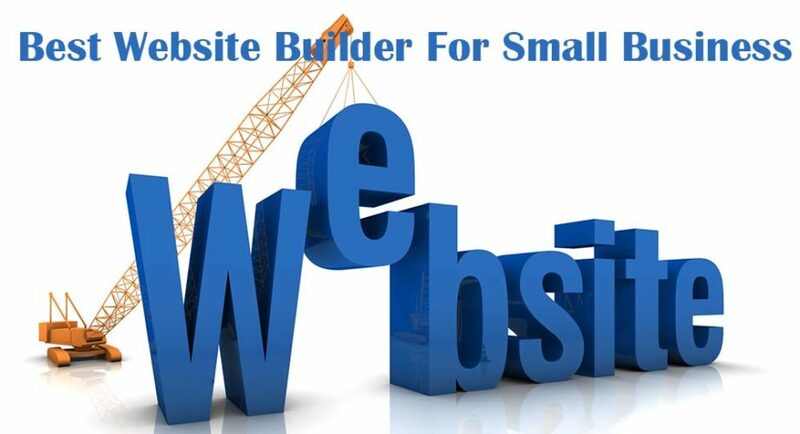 If you want the best website builder for small business then you need to assess your needs and goals. We have compiled a list below that should help you determine the best website builder for small business. www.wix.com is one of the most well-known website builders out there. I’m sure you’ve seen advertisements somewhere about this website builder. They offer a variety of templates to choose from as well as a number of different categories. You can easily customize your website with the user-friendly drag and drop feature. Wix is great for beginners and it even has eCommerce functionality if you plan on selling items on your website. You can start using Wix for free but you will most likely have to upgrade to the paid version if you want more options. Wix can make it difficult to switch hosting providers or even migrate your site to a different server though. Wix is a good option if you plan on staying with them and if you don’t mind not having complete freedom over your website. www.weebly.com is another decent website builder if you are new to the web design world. Weebly doesn’t offer as many custom options as other website builders do and that makes it easy to use. They only have around 30 different themes so you don’t have to spend hours trying to figure out what you want your website to look like. If you only need a standard website with minimal content then Weebly may be just for you. They have paid packaged deals that cost between $8-$25 per month depending on how your website will be used. They even offer a free domain based on a one year contract. This may not be the best website builder for small business but it is great for businesses that don’t require a whole lot. www.squarespace.com is a top pick for bloggers and artists but it works well for small business owners as well. They offer simple templates but they are visually striking at the same time. The templates are not very customizable just as other website builders but work well for specific businesses. Squarespace offers good search engine optimization which helps get your website in top search results. It can be pricey though. Their prices can range from $5-$70 so it may not be useful for certain businesses. They offer a good knowledge base and offer help when you need it. 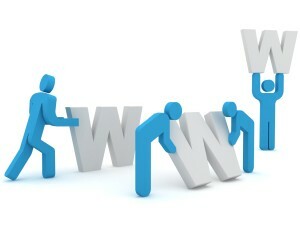 www.sitebuilder.com is most likely the most widely known and recognized for its ease of use. You don’t have to know much about computers or web design in order to publish your website with SiteBuilder. If you are a small business owner and are looking to design your own website then SiteBuilder is one of the best website builder for small business. Finding a design that fits your style is easy since they have a large amount of pre-made styles for you to choose from. They offer paid plans starting at $9.95 per month and it unlocks other features that you may need for your small business. Our favorite website builder is WordPress and we consider it the best website builder for small business. WordPress is a bit more advanced than other website builders and it is technically a CMS (Contact Management System). WordPress has many features and is very widely used by many small businesses. WordPress is free to use and over 1/5 of all websites on the internet are WordPress websites. The only disadvantage is that it is more difficult to use and requires a bit of learning. It can be time consuming learning how to master WordPress and being able to design a graphically pleasing website. Can I hire a web designer to design my small business website with WordPress? You can certainly hire a website designer to build your website with WordPress. Web Epidemic specializes in WordPress and they work with small businesses on a daily basis. Full web design services start at $300 and includes lifetime support for your website. Web Epidemic can build the website that you have always wanted. If you are interested in hiring a web designer you can contact Web Epidemic.